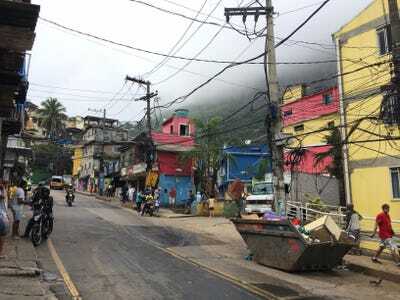 In addition to being a beach-filled city and the host of the upcoming summer Olympics, Rio is a sprawling metropolis, filled with makeshift communities known as favelas (loosely translated as “slums”). Despite what you may assume after watching films like “City of God,” favelas aren’t all dangerous, ramshackle communities where gangs lurk on every corner. Nearly a quarter of Rio’s population lives in the low-rise neighbourhoods, and many residents prefer living there instead of the formal city. Favelas often have bars, restaurants, community centres — most of the amenities you’d want in your neighbourhood. Some favelas are so large that you could consider them cities inside the city. Rocinha, the largest favela in Rio, has a population of somewhere between 70,000 and 300,000 people, depending on who you ask. 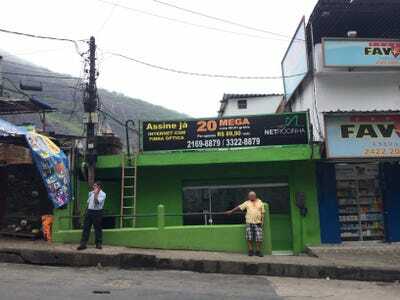 As I discovered during a recent trip, it’s so big that it even has its own WiFi provider, known as NetRocinha. The company has, according to the NetRocinha website, over 1,500 high-speed internet customers in the community. The most expensive broadband plan, known as Mega 20, costs a reasonable $26 per month. 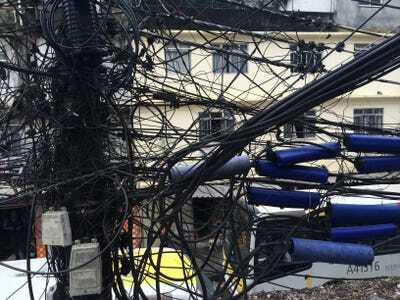 Ariel Schwartz/Tech InsiderResidents sometimes steal electricity from overhead cables. But as you hear people talk about the favelas in the run-up to this summer’s Olympic games, remember: they’re so much more than mere slums.